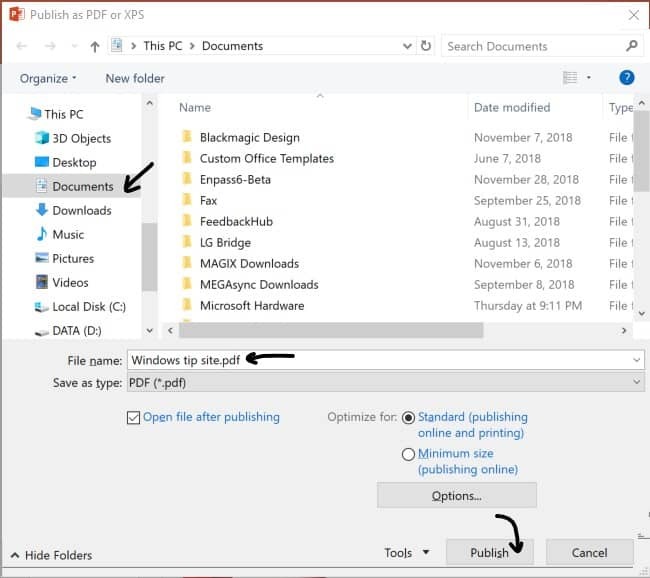 In recent versions of Microsoft Office, Microsoft started to integrate a very convenient way to export any Microsoft Office documents into a PDF (Portable Document Format) document. The PDF document is a popular file format which will keep all your document format including text, images, drawing, and more unchanged when sharing across different devices, operating systems, and software. 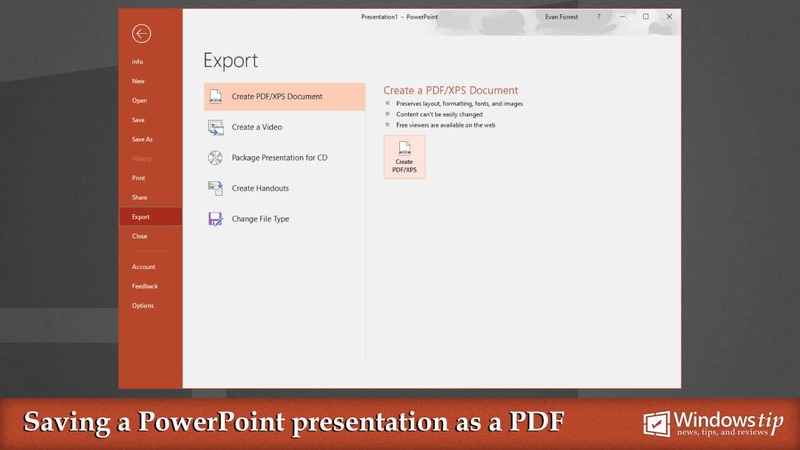 As it’s now become an open standard maintained by ISO, you should know how to export your PowerPoint presentation document to PDF document when you want to share it with others. 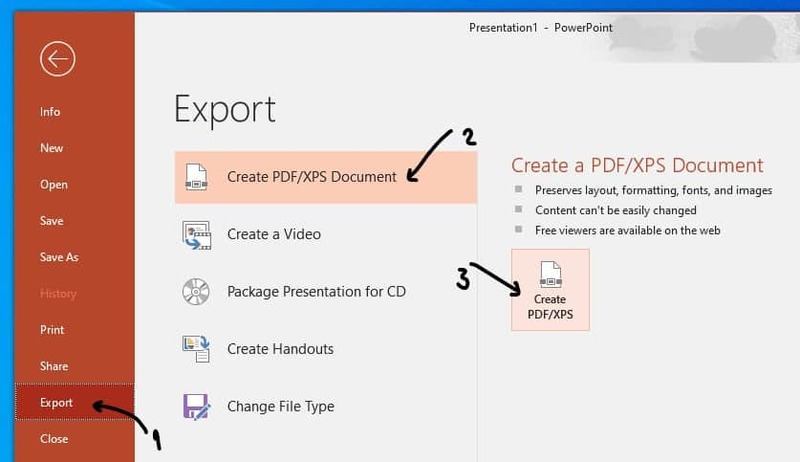 In this tutorial, I will show you how easy you can export your PowerPoint presentation to a PDF document in Microsoft PowerPoint 2013, 2016, and 2019. Create a new document or open your existing document. Go to Export, Select the “Create PDF/XPS Document“, and click on Create PDF/XPS button. It will ask you to choose where you want to store the PDF document. Browse to the location you want to save your document, change the file name, and click Publish button to start exporting. 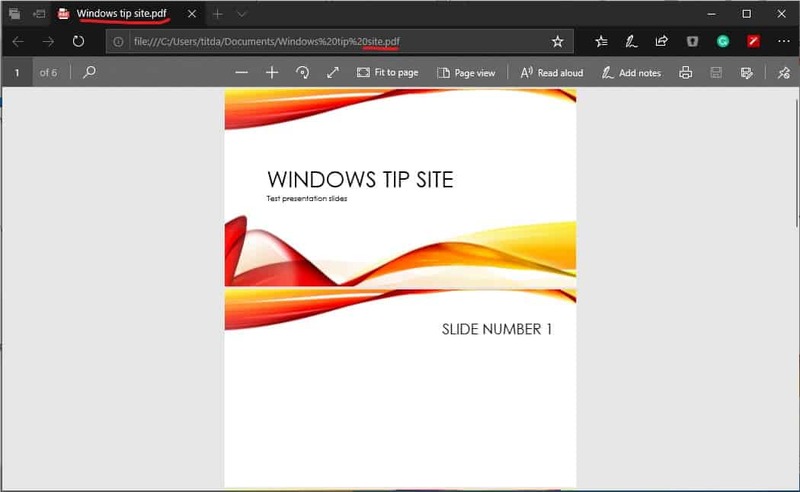 After finishing exporting the document, it will open the PDF automatically in the default PDF viewer on your computer. Now your PDF document is created and stored in the location you’ve chosen, you can assure that the formatting of your document will be the same when you share it with your colleagues or your friend. If you have any questions or problems with the steps detailed in this tutorial, please let me know in the comment below. 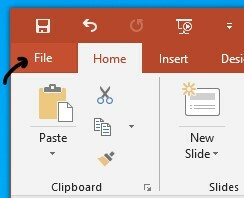 If you don't have an account on our forums, you can use this comments section to share your issues, solutions, or any ideas related to the “How to save your presentation as a PDF in Microsoft PowerPoint” topic.